Catch the biggest Crocs Mega Sale here in Alabang and enjoy up to 90% OFF on wide selection of styles! 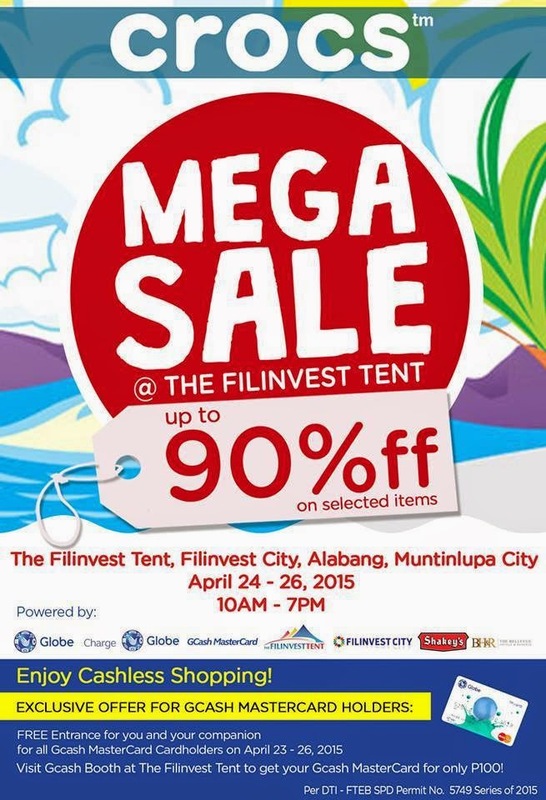 Happening on April 24 - 26, 2015 from 10AM to 7PM at Filinvest Tent, Filinvest City, Alabang Muntinlupa City. If you ask me if I did make it there? Yes, but did not bother to line up after seeing this crowd. Pwede naman makapasok kahit walang gcash. Pipila ka lang.